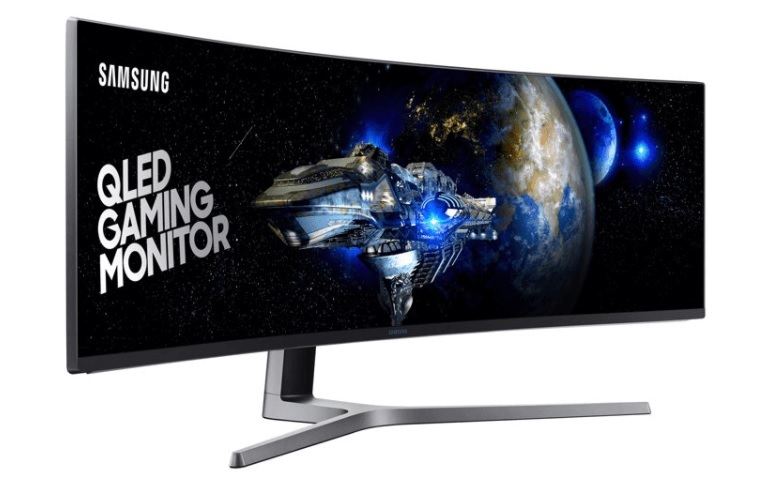 Samsung has announced its latest 49-inch ultra-wide QLED curved gaming monitor – the CHG90! Holding the brand’s widest gaming monitor flag, it flaunts a 49-inch QLED curved display that gives full HD 3840 x 1080 resolution with 32:9 screen aspect ratio. It offers 178-degree viewing angle, which eyes to enhance your gaming experience. It features quantum dot composition, too, allowing the monitor to produce TV-like realistic pictures that have crispier colors and sharper contrast. It can support up to 125% of the sRGB color spectrum, and 95% of the Digital Cinema Initiatives (DCI-P3) motion picture standard, as well. Moreover, the gaming monitor is clocked at 144Hz refresh rate and 1ms motion picture response time. See Also: Samsung Notebook 3, Notebook 5 Announced! Meanwhile, its local pricing and availability are yet to be announced. For more information about the CHG90, visit samsung.com/ph/game-mon.